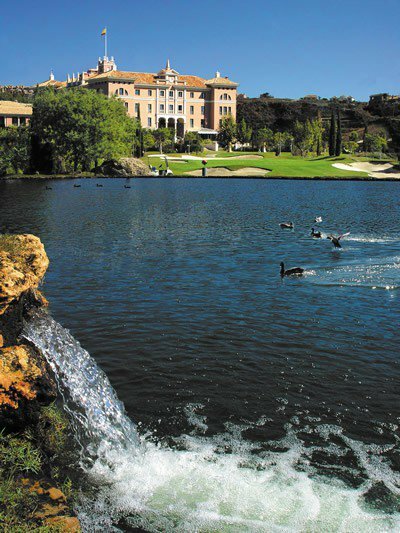 Alferini Golf Club, formerly named Gran Flamingo, is a fantastic new 18 hole par 73 golf course. The layout is being described as a technical course, with long fairways and wide greens. Each tee has 5 start platforms, making it a stern but fair test of golf for all players’ abilities. Furthermore, the course has breathtaking views of the surrounding mountains. Set in a valley, it is isolated from buildings and noise. Also, it features 2 lakes and is surrounded by a stream that comes into play on most of the holes. 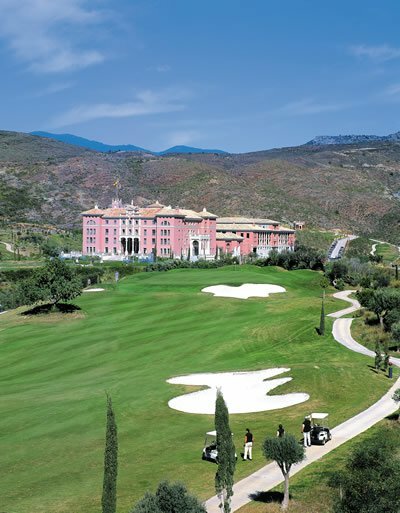 With this spectacular new addition, Flamingos and Villa Padierna will establish themselves as one of the best golf resorts on the Costa del Sol.Alferini Golf Club, formerly named Gran Flamingo, is a fantastic new 18 hole par 73 golf course. Set in a valley, it is isolated from buildings and noise. 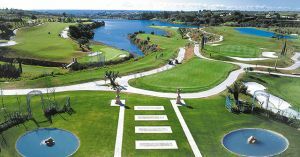 Also, it features 2 lakes and is surrounded by a stream that comes into play on most of the holes. 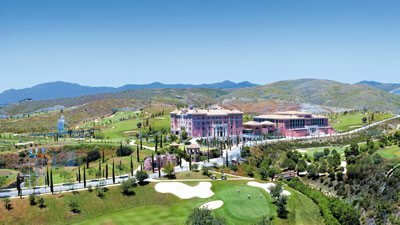 With this spectacular new addition, Flamingos and Villa Padierna will establish themselves as one of the best golf resorts on the Costa del Sol. 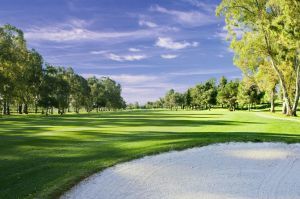 ALFERINI GOLF es, sin duda, un campo ideal para la celebración de competiciones y grandes torneos y también para disfrutar de una jornada agradable y relajada. Plenamente integrada en el paisaje, destaca el esmero con que se cuida la naturaleza y la atención que se presta a la preservación del entorno. Dispone de un magnífico recorrido de 18 hoyos de una distancia de 6.700 metros, Par 73, y cuatro tees de salida para cada uno. Su diseñador, Cristóbal Guerrero, ha hecho un excelente campo rodeado de gran variedad de árboles de origen Mediterráneo: pinos, naranjos, cipreses, encinas, ... Su privilegiada ubicación permite el juego en cualquier época del año. 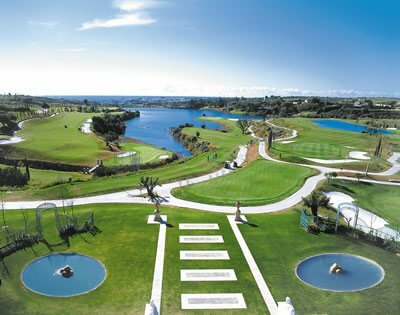 GRAN FLAMINGO GOLF is, without doubt, an ideal course for the celebration of competitions and great tournaments, as well as for enjoying an agreeable and relaxing day´s golf. Fully integrated into the landscape, one can feel the care and attention that is lavished on the surroundings. Gran Flamingo Golf offers a magnificent 18 holes over 6.700 meters, Par 73, with four tees for each hole. 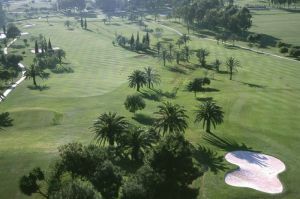 It´s designer, Cristóbal Guerrero, has created an excellent course surrounded by a great variety of trees of Mediterranean origin: pines, orange trees, cypresses and holm oaks, among them. Its privileged ubication allows the game any time during the whole year. Is located only 75 Km from Malaga international airport and 45 Km from Gibraltars international airport.10 minutes driving distance to Marbella and 10 minutes to Estepona. Alferini Golf is not yet in our pool of Golf Courses for orders.